Parents visiting Doreen Braunagel’s classroom on Tappan Zee High School’s Meet the Teacher Night likely noticed the colorful drawings lining the walls. The artwork is the product of a project PreCalculus students complete at the end of their conics unit. In previous years, students were challenged to create a drawing by hand which included a variety of 10 equations, such as ellipses, parabolas and hyperbolas. 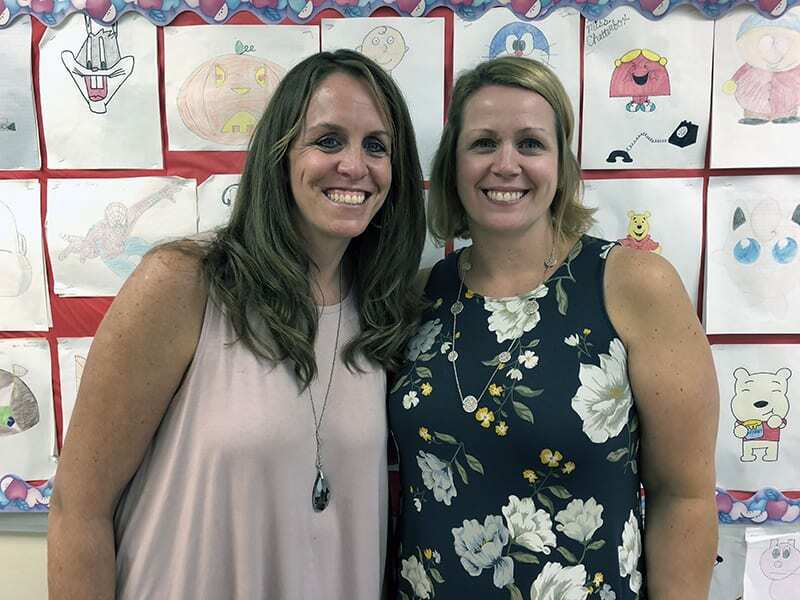 Both teachers were introduced to Desmos through the County-Wide Superintendent’s Conference Day last spring and are impressed by how it has enhanced the conics project. They specifically noted that students were able to get started more quickly with the online project and that Desmos makes it easier for teachers to assess the skill. Ms. O’Brien plans to roll out the web-based project with her regular PreCalculus students and Ms. Braunagel intends to use Desmos with her Algebra II students, as well. For photos, see the district Facebook post.